If you’ve decided to stock up on emergency supplies but don’t have a lot of money, you’ll be glad to hear that you can buy several of your necessities on the cheap at any ordinary dollar store. In my town we have a Dollar General and a Dollar Tree, so last weekend I went walking around both of them to see how many emergency supplies I could find. I jotted down what I saw and ended up with a list of several dozen items that would be useful during a disaster. Here are the top 40 survival items you can find in dollar stores. 1. Water – It’s one of the most important survival items of all, and you can purchase bulk bottles at most dollar stores. 2. Lighters – You can easily buy packs of BIC lighters at dollar stores for a buck; are there any easier ways to start a fire? 3. Matches – Matches are a great alternative to lighters, and you can buy packs of them at dollar stores as well. 4. Paper Towels – You can use paper towels for a variety of purposes in a survival situation, and there’s no cheaper place to buy them at than the dollar store. 5. Paper Plates – These are great to have when you don’t have running water for washing dishes. 6. Cooking Utensils – As with paper place, plastic forks, knives, spoons, and so on will be invaluable when water is scarce. 7. Utility Knives – They may not be the sharpest or highest quality knives on the market, but a basic utility knife from the dollar store will be better than nothing. 8. 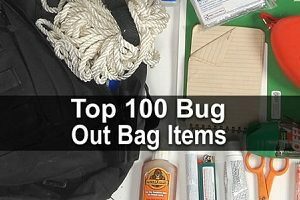 Storage Bags – Basic Ziploc plastic bags can be easily found at any dollar store, and you can use them for a variety of purposes in a survival situation. 9. Flashlights – Flashlights are a must have survival item when the power is out. You don’t want to spend every night in complete darkness. 11. Toothpaste and Toothbrushes – Personal hygiene is critically important in a survival situation, and that absolutely includes oral hygiene. 12. Soap – Basic soap bars or packs of bars can be yours for a buck each; they will also be great barter items. 13. Baking Soda – Baking soda is perhaps the most versatile personal hygiene item there is. You can use it to make soap, shampoo, deodorant, laundry detergent, dishwashing soap, and so on. 14. Toilet Paper – This is not something that you want to overlook when it comes to stockpiling. 15. Canned Food – Basic canned meat and vegetables at most grocery stores can usually be found in dollar stores as well. Oftentimes they’re cheaper. 16. Candles – These are good if you only need a little bit of light, such as for reading. 17. Can Openers – As long as you have canned goods, you’ll need something to open them with. 18. Bungee Cords – Bungee cords are another important survival item you will not want to overlook. 19. Cotton Balls – You can use cotton balls and Vaseline to make a portable, waterproof fire starter. 20. Gauze Pads – Gauze pads in assorted sizes are a core item to have in any first aid kit. 21. Hard Candies – Not an essential food item, but candy will help keep your morale up during tough times. 22. Playing Cards – You’ll need something to pass the time, and cards are a simple, power-free way for a group of people to enjoy themselves without television or Internet. 23. Plastic Containers – Plastic containers can be used for storing virtually anything you can think of. 24. Rain Poncho – The ponchos you buy at dollar stores won’t be the nicest ones on the market, but they will still serve their purpose well and have many uses. 25. Rubbing Alcohol – A percentage of 70% to 90% will work best. 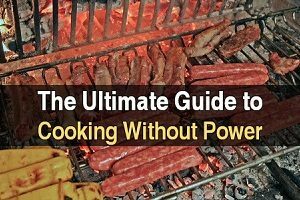 You can use it in a medical emergency, or as fuel for your alcohol stove. 26. Paper Clips – Paper clips serve a wide variety of different survival uses. You can use them to hang clothes, to make fishing hooks, to make a makeshift compass, and so on. 27. Sewing Kit – These will be tiny sewing kits with small scissors and needles, but it’s better than nothing and will work great for repairing tents and clothing. 28. Socks – Make sure you have extra dry pairs of socks to change into to prevent gangrene on your feet. 29. Hat – Hats are excellent to provide your face with shade and can also be used to keep yourself disguised among a crowd as well. 30. Super Glue – Most people know that basic Elmer’s glue is available at dollar stores, but far fewer know that super glue is available as well. 31. 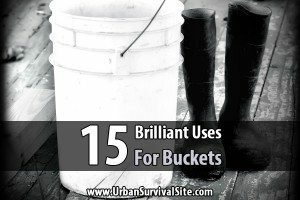 Plastic Bucket – Plastic buckets can be used for a number of survival items, including storing items or as makeshift toilets if necessary. 32. Duct Tape – Is there are anything that duct tape can’t fix? It has dozens of survival uses as well. 33. Plastic Sheeting – Plastic sheeting can be used for privacy in a campsite, setting up a quarantine area, using as a table mat, and so on. 34. Latex Gloves – Latex gloves will be great for treating medical wounds where sanitation is key. 35. Tweezers – No first aid kit is truly complete without a pair of tweezers, and you can easily buy them for a buck at dollar stores. 36. Paper – You will need paper in a survival or disaster situation for a number of reasons (record keeping, taking notes, sending messages, creating maps, etc. ), and you can buy it in the form of bulk packs of notebooks at any dollar store. 37. Writing Utensils – Pens and pencils of all types are available at dollar stores. They might not seem important, but I recommend keeping a journal if you’re living through a major disaster. 38. Antibacterial Ointment – Another hugely important first aid/medical item, and yet another that is available at dollar stores. 39. Sunscreen – Investing in sunscreen is wise to prevent sunburns (especially important if bugging out on foot), and there’s no cheaper place to buy it at than from the dollar store. 40. Aluminum Foil – Aluminum foil will be great for cooking (wrap food in it and then set it by a fire) and many other things, and you can buy it on the cheap at any ordinary dollar store. 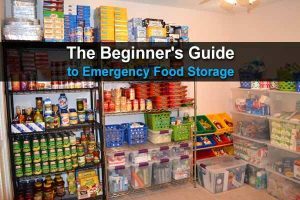 Conclusion – As you can see, a dollar store can actually be a great (and inexpensive) place to shop for a sizable percentage of all the items you will need to survive a disaster. There are many other survival items you can buy from the dollar store as well, so don’t think that you’re limited to just these items. I’m trying to find the link to sign up for your newsletter. The link on the website comes up with an error. Also, the link to contact you comes up with an error. I was able to do this by commenting to one of your posts. 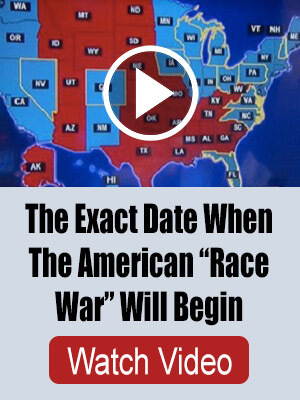 It looks like a pretty good site with solid information. I look forward to being n your communication circle. Sorry, we upgraded the site to make it more secure and ran into some problems. It should be working now.